Jussie Smollett is an American actor, singer, director, and photographer. 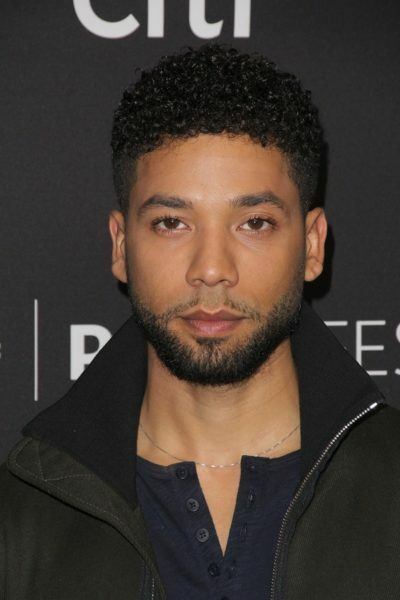 He is the son of Janet (Harris) and Joel Smollett. His siblings include Jojo Smollett, Jazz Smollett, Jurnee Smollett-Bell, Jake Smollett, and Jocqui Smollett, all of whom have been involved in the entertainment business. Jussie’s father, who was white, was Ashkenazi Jewish (from a family from Romania, Russia, and Poland). The family surname was Smolovitz several generations back. Jussie’s sister Jurnee stated in an interview that, aside from African-American, their mother has Native American, Louisiana Creole, and Irish ancestry. It is not clear if this is accurate. 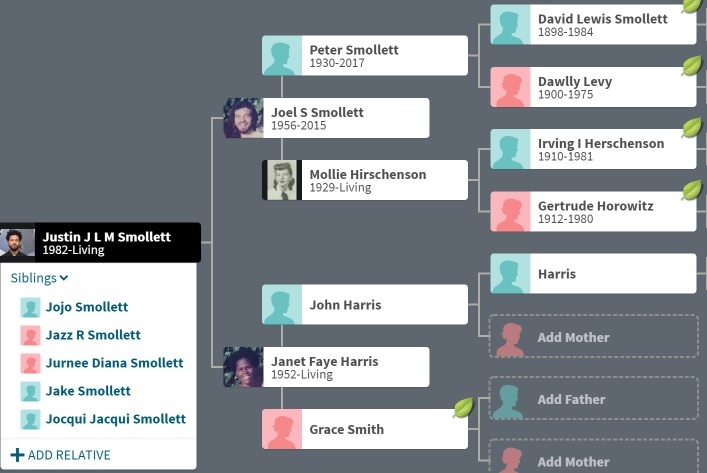 Jussie’s paternal grandfather was Peter Smollett (the son of David Lewis Smolovitz/Smollett and Dawley/Dawlly Levy). Peter was born in New York. David was a Romanian Jewish emigrant, born in Iași, Iași County, the son of Jacob Smolovitz/Smilowitz/Smollett and Rebecca Moscowitz. Dawley was born in New York, to Polish Jewish parents, Charles D. Levy and Esty/Betsy Cohen. Jussie’s paternal grandmother is Molly/Mollie Hirschenson (the son of Irving I. Hirschenson and Gertrude Horowitz). Molly was born in New York. Irving was the son of Jeremiah Hirschenson and Sarah Heller. Gertrude was the daughter of Louis Horowitz and Anna Lupin. Jussie’s maternal grandparents were John Harris and Grace/Raphel Smith.